The perfect saw for effortless felling of small trees and light pruning. 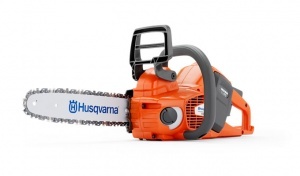 This cordless chainsaw has a 12 inch bar, and benefits from lightweight, quiet operation. 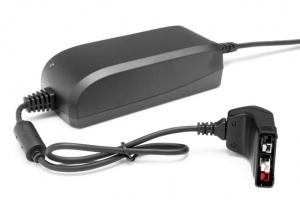 Supplied as a shell only, you will need to purchase a battery and charger to use this machine. As a battery powered machine, the Husqvarna 120i can be started easily with just a single tap on the keypad. This pad also sports the savE™ efficient running system, that allows you to prioritise run time by optimising performance. A brushless motor provides a high torque to weight ratio, resulting in superb efficiency, reliability and lower levels of noise. 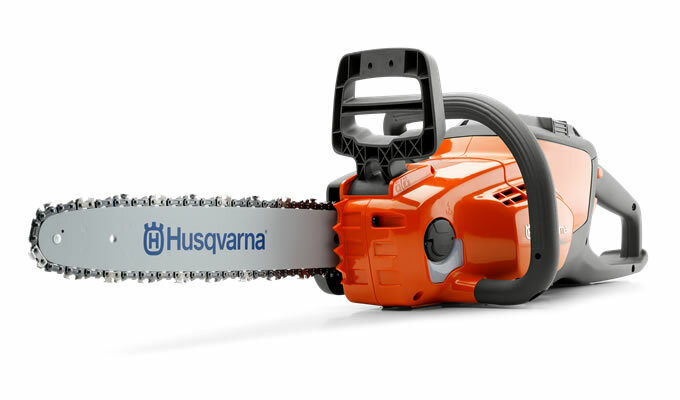 Thanks to its light weight (just 3 kg excluding the battery), you can use Husqvarna's 120i for longer without getting tired. It is ideal for working in noise-sensitive areas, as it is a very quiet machine, while also benefiting from an inertia chain brake for safe & confident operation. You can use the chain tensioner without tools and the chain brake guard gives you an improved view of the saw bar, for more precise control. 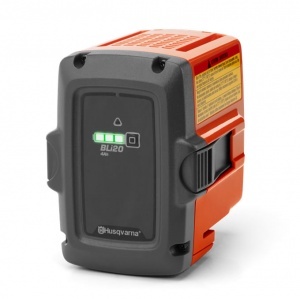 Recommended to be used with Husqvarna's BLi20 Lithium-ion battery and QC80 charger, this unit is sold as the shell only - so requires the purchase of that equipment if you don't already have it. The BLi batteries are interchangeable, so can be used with Husqvarna's range of other cordless tools (only the BLi20 or BLi200 can be used with chainsaws), which makes them exceptional value when you have multiple pieces of equipment.